It’s hard to imagine an Uncharted game without Nathan Drake. After last year’s Uncharted 4: A Thief’s End, we saw the conclusion of the series’ protagonist, Nathan Drake’s adventures. Die-hard Uncharted fans mourned collectively at the end of Nathan’s adventures yet there were tears of joy as it was such a happy ending for our old friend. This year, Naughty Dog brings us another Uncharted adventure set in the same universe with new protagonists. 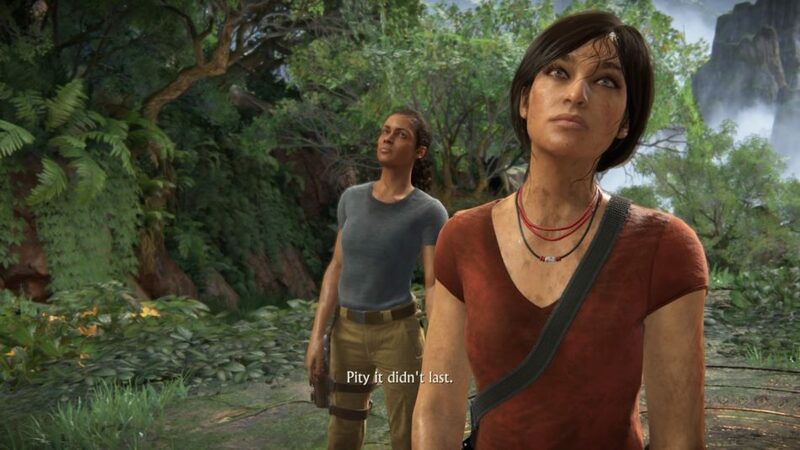 Meet two tough-as-nails chicks, Chloe Frazer and Nadine Ross. 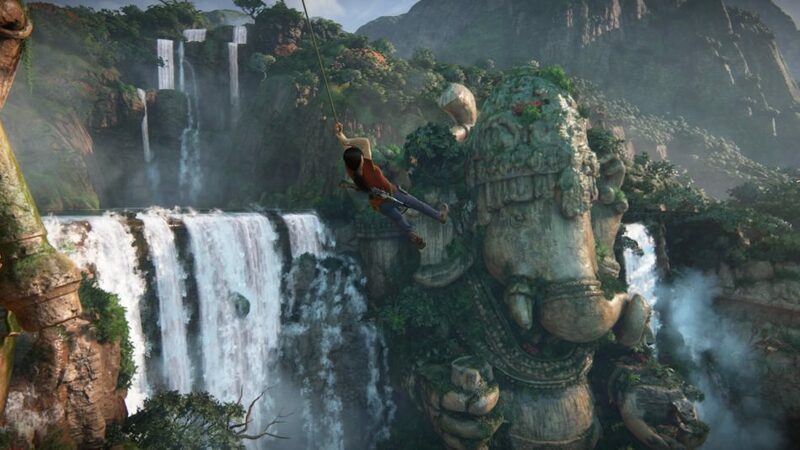 In The Lost Legacy, we see the two unlikely partners team up together in search of Ganesha’s missing tusk in India. Legend has it that the elephant-headed god Ganesha was involved in a scuffle with Parashurama and his tusk broke off as a result. 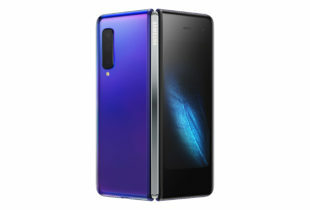 The tusk is now sought after by Asav, the leader of a group of rebels who is keen to sell the tusk to fund his rebellion and overthrow the current regime. You play Chloe Frazer, a treasure hunter of Indian and Australian descent. If you played Uncharted 2, you might remember her character featured as Nathan’s love interest. She follows the footsteps of her archaeologist father who was also searching for the Hoysala Empire. Chloe’s partner is Nadine Ross. For those who played Uncharted 4, you will recall Nathan’s rather unpleasant encounters with the Shoreline mercenary leader. It does feel a little strange rooting for the person whom you had fought so hard against in the previous game! I do enjoy the chemistry between Chloe and Nadine, and the game’s focus on their characters and backstory brings realism to the characters. You will learn more about Chloe’s relationship with her father, and also Nadine’s conflict with her mercenary group, Shoreline. Chloe’s headstrong nature combined with Nadine’s impulsiveness creates many moments of tension as well as wisecracking humour, although some of their squabbles can be childish up to a point of be annoying. Living up to its promise as an Uncharted game, The Lost Legacy treats gamers to a visual feast, with beautifully rendered ancient cities of Halebidu and Belur belonging to the ancient Hoysala Empire. After a short stint in a city ravaged by civil war, you get to explore lush forests, spectacular caves, impressive waterfalls and a somewhat familiar muddy terrain in an exotic location. 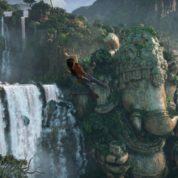 It’s also a good opportunity to dive into the myths of Hindu gods like Ganesha, Shiva and Vishnu, and the game’s art renders the gods beautifully, which is a real treat for gamer tourists. 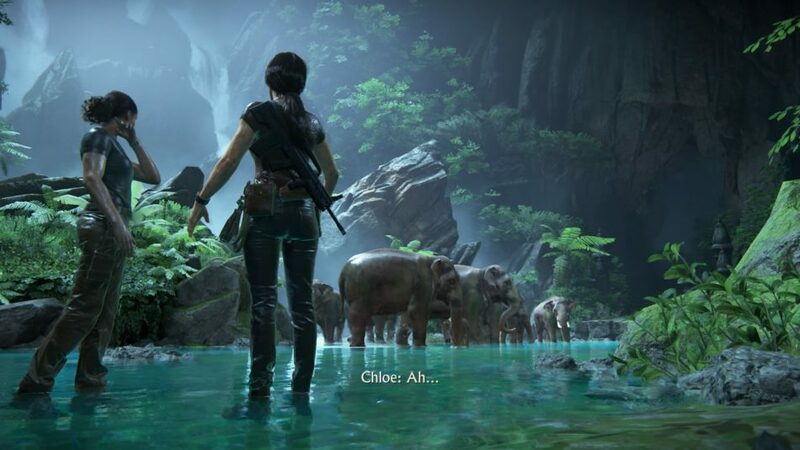 There are even opportunities for Chloe to take pictures of the magnificent scenery with her mobile phone, making you feel like a real tourist! 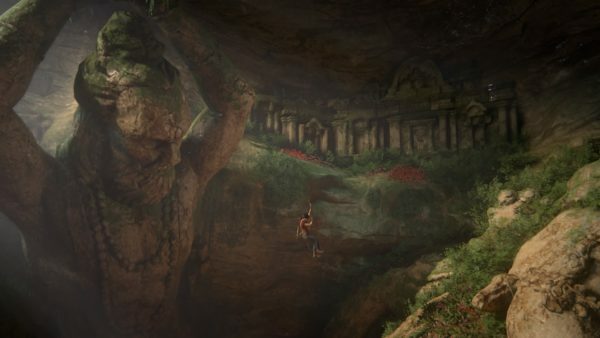 In terms of gameplay, it is standard Uncharted fare, with a multitude of climbing, jumping and mechanical puzzles to solve. 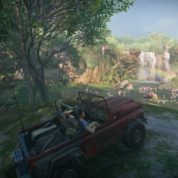 Uncharted stalwarts will find the puzzles familiar and somewhat lacking in challenge, especially if you play this straight after Uncharted 4. Speckled rock wall? Use the piton to jab while jumping. Muddy up-slope? Drive the 4WD over rocky surfaces. Bolted door? Use the winch. Mechanical puzzles? Keep turning until something changes. If you get stuck for a while, Nadine or another companion will provide hints. There are also timed challenges which force you to really focus and memorise the timing of routes and jumps. Not my favourite kind of puzzle but they do help to break the monotony of the game. There are armed mercenaries to deal with, so prepare for plenty of shooting as well. And, just like Uncharted 4, there are heart-stopping car and train chase scenes that force Chloe to perform impossible stunts, like jumping from moving train to moving car and back again while shooting enemies. Sounds a lot like what Nathan went through in Uncharted 4? 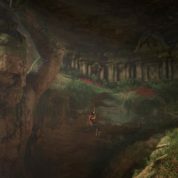 What’s new in The Lost Legacy is in Chapter 4, which is designed for some open-world exploration as well as an optional quest to collect 11 Hoysala tokens in order to get the Queen’s Ruby. This accessory is a completist’s dream – it works as a radar for sensing nearby treasures through sound and vibration on your Dualshock controller, which is great if you have the “gotta find them all” syndrome. But if you are the kind who likes to chase down the story and not hunt for bits of archaeological treasures, you might want to just want to skip ahead to the main quest. Bear in mind if you want to collect all 11 tokens, you must do it in Chapter 4 – if you go further, there is no turning back! With token collection, the game is extended as some of the timed puzzles can be quite time consuming, requiring patience, practice and a little bit of luck. 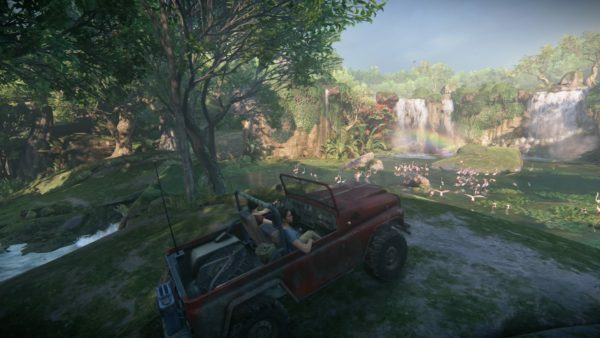 Overall, The Lost Legacy is much shorter than a regular Uncharted game, clocking in at around nine to 10 hours of gameplay if you decide to hunt down all the tokens. 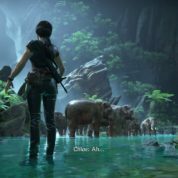 The Lost Legacy is a great addition to the Uncharted collection but it is a standalone DLC and it certainly feels like an “add on” to the Uncharted universe. I enjoyed the chemistry, character development and the wisecracking humour of Chloe and Nadine, as well as the beautiful scenery of the Hoysala Empire. However, the gameplay is a little too similar to Uncharted 4, so it doesn’t really offer too much novelty. If you have just completed Uncharted 4 recently, take a break with other games before diving into this one. 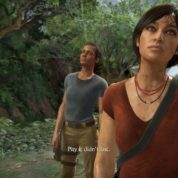 Uncharted: The Lost Legacy is available at S$46.90 at the PlayStation Store.